Excellence isn’t the bar, rather it is the standard amongst a select group of 40 undergraduate students who are soon to be Astronaut Scholars, a merit scholarship awarded by the Astronaut Scholarship Foundation (ASF). Perhaps most interesting beyond the amount awarded annually to deserving students, up to $10,000 per recipient, is the support that ASF builds into the scholarship program; namely through the mentor and workforce development programs, and inclusion as well as active participation into exclusive events. During the U.S. Astronaut Hall of Fame Induction Weekend scholars take part in a scholar technical conference, presenting current projects and areas of interest. Each year, partnering schools submit two nominees for review by the ASF Selection Committee. 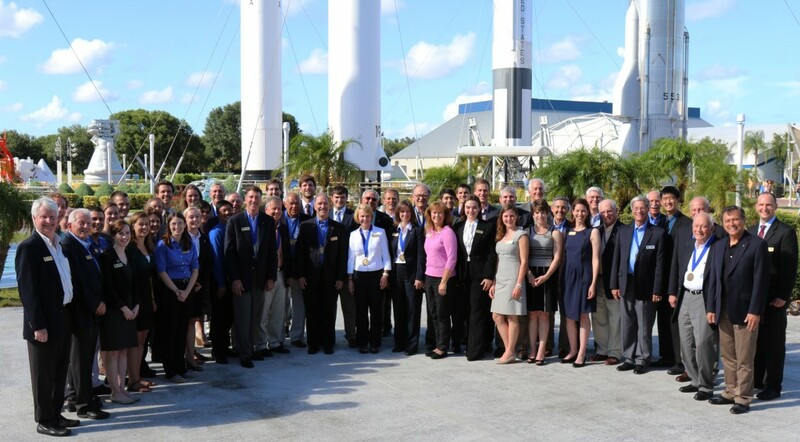 This committee selects the students they deem worthy of becoming an Astronaut Scholar, and the ASF Board of Directors gives the final ratification; whereupon recipients are notified and the official announcement is released. ASF Program Director Nicole Russ states, “The fact that our community of private donors and corporate sponsors see a continued need to invest in these young people makes record numbers possible. Couple that with the participation from the astronauts who support ASF events and allow us access to their stories, and at times legacy, it just makes all the difference.” In the age of social media, there must still be stock in who you know, right? Indeed there is, and it’s a driving force behind the enhancement of the mentor and workforce development programs. ASF has found a worthy advocate in former Astronaut Scholar, and now ASF’s Vice Chair Lisa Schott, who communicates regularly with scholars and knows where to find them; Facebook, Twitter, Instagram, etc. The valuable data of tracking scholars as they graduate, move, gain employment and continue in their fields of study aids the Foundation in pairing scholars with suitable mentors. Notable mentors include Hall of Fame Astronaut Curt Brown, and former NASA Administrator Michael Griffin. The caliber of those involved and the brilliance the scholars have to offer ensures ASF’s Astronaut Scholarship program thrives, in awards season and beyond. This fall, ASF will travel to select schools with astronauts to present the coveted award in a public ceremony. Previous astronaut participation in award presentations have included Hall of Fame Astronauts Jim Lovell, Alan Bean, and Charlie Duke, among others.